The Ozarks Methodist Manor A Tradition of Caring Since 1925. The cottages and apartments of Ozarks Methodist Manor blend beautifully into the quaint town of Marionville, where neighbors wave hello and life moves at a casual pace. The Manor’s maintenance-free lifestyle is an attractive choice for individuals looking for a retirement filled with activity, comfort, peace of mind, and fun! The Ozarks Methodist Manor has provided a tradition of comfort and care since 1925. 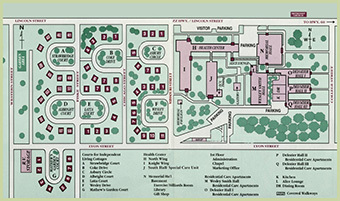 The Manor is a continuing care retirement community related to the Missouri Conference of The United Methodist Church. Here, you can enjoy the privacy of living in your own home with the reassurance that on-site health care is available when needed. 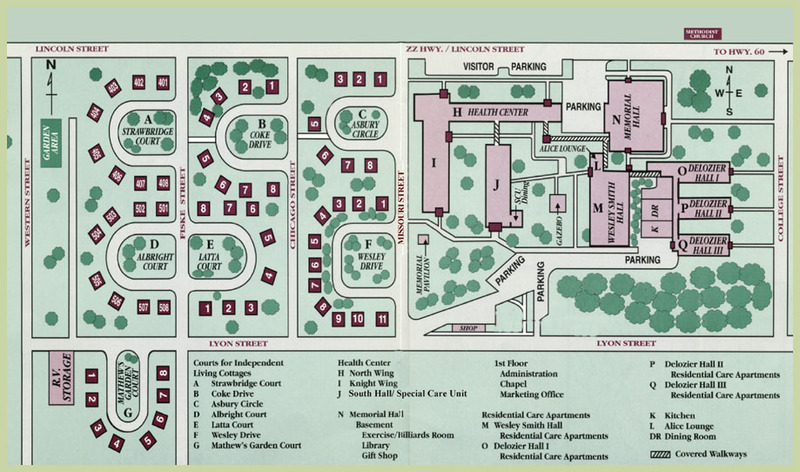 Residence options include independent living cottages, residential care (assisted living) apartments, and The Manor Health Center — a licensed skilled nursing facility. Outpatient rehabilitation is also available. The community is set ideally amidst the southwestern Missouri landscape. Located on 30 lush acres in the city of Marionville, MO, we are just 25 miles from Springfield — home to historical treasures and fun attractions such as Bass Pro Shops® Outdoor World®. In addition, the popular entertainment, shopping, golfing, and outdoor recreation of Branson is just an hour’s drive from The Manor. Here at The Ozarks Methodist Manor, we provide quality and experience you can count on. 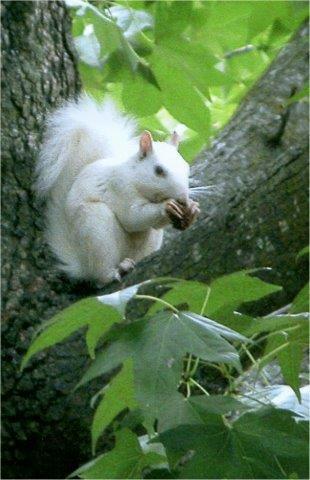 Visitors come to Marionville in hopes of catching a glimpse of our white squirrels. The totally white creatures roam the yards and are protected by city law. The squirrels have reportedly been here since the late 1800s. Pictures of the squirrels have graced the inside of the 1915 Marionville College Yearbook, and they have received national recognition in newspapers and televised documentaries.